Seit gestern sind u.a. dieses Blog, der Planet Göttingen und auch der Mailserver für vorlons.info per IPv6 zu erreichen. Realisiert ist die Anbindung mit Hilfe eines Tunnels von SixXS. Mozilla Thunderbird lacking a reply-to-list function is quite annoying sometimes and is often worked around by using a patched version with an extension. Recently while looking at extensions, I came across one which does not require a patched version, but also works with the regular binary. It is still considered experimental, but has worked well for me on one binary installation of Thunderbird 2.0.0.17 I’m using. 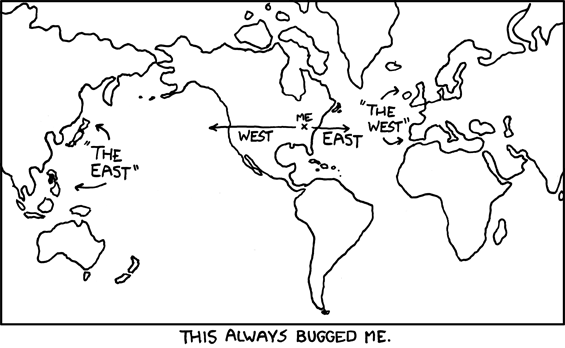 From xkcd (under Creative Commons Attribution-Noncommercial 2.5 License), which is always worth checking.